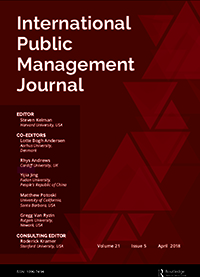 This study tests the effect of PSM and studying public administration on subjects’ behavior in a repeated Public Goods Game with a costly option to punish free riders. Conducting the experiment on 136 students from three subject pools (public administration, social science and business science) shows the following: (1) PSM has a twofold effect, as compassion is associated with higher contributions and attraction to policy making is associated with punishing free riders. (2) Students of public administration do not contribute more than the other two student groups, but they are more likely to punish free riders. 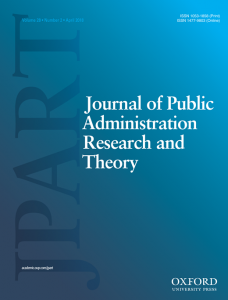 (3) Both, attraction to policy making and studying public administration, are associated with more severe behavior towards free riding, as these subjects punish even small amounts of free riding. Due to its implications for policy-implementation, it seems to be worthwhile to pay more attention to preferences of social norm enforcement when selecting public personnel.